I stopped. Why bother, I thought, when no one is listening? It's frustrating I admit it but do I want to admit defeat? No. After that struggle I reassessed; I'm not really writing for anyone else. It's important for just me. Do I want people to read? Absolutely. Do I want people to comment? Absolutely. Yes, please. Say something, tell me what you think. I love discourse and dialogue. But even if I'm just talking to myself it's okay. So I cam back to book love. 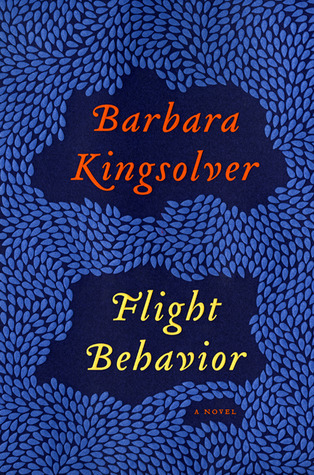 Barbara Kingsolver. Anyone else love her? I've read almost all of her books. 1. The Bean Trees (1988): Goodreads wasn't around but I read this one first and fell in love with the way it was written and the characters. I kept reading the series as I found them. 2. Prodigal Summer (2000): An amazing character driven tale that takes place in Appalachia. I loved Lusa because she was struggling with her place in the world. I could relate. 3. The Poisonwood Bible (1998): Wow. Ten years after The Bean Trees and this is a big leap up. A totally different kind of story. Quite good and I made it through all 546 pages. 4. Animal Vegetable Miracle (2007): She said everything I wanted to hear about food. Changed the way I thought about meat. My son was so happy. Local, healthy food and funny stories along the way. 5. The Lacuna (2009): Frida Kahlo, Diego Rivera, and Harrison Shepherd jaunt through Mexico and the U.S. during the 1930s. Beautiful and 508 pages. 6. Flight Behavior (2012): Goodreads says it like this "Contemporary American fiction at its finest..." I agree. This story blends interesting characters with an environmental message that made it easily my favorite of all her books. Thank you Barbara for writing. I love your work.